The vibe is getting so strong in Wichita! Everywhere you turn, someone is talking about their training for a Prairie Fire Event. Maybe you haven’t started your training yet, or maybe you’re a bit timid to take the first step. If so, consider purchasing one of Nathan Wadsworth’s training plans from the PFM website. He has worked together with Matt Fouts of Tanganyika Wildlife Park to create plans that would allow racers to tune up for the marathon series at the wildlife park’s 15K or 5K in September. Currently there are several plans for all levels available for purchase on the site. 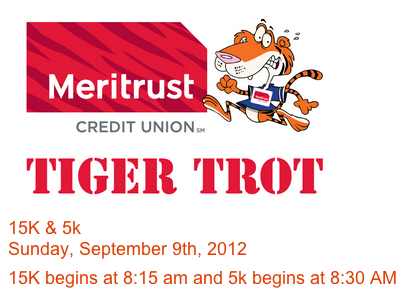 Additionally, when you register for the Meritrust Tiger Trot (The Tanganyika Race) at the same time as your PFM event, you save $6 on the race registration. Lots of great chances to train strong and save money. Here are some more words from elite trainer, Nathan Wadsworth about the program. “Matt Fouts of Tanganyika Wildlife Park approached me many months ago about creating programs for the Prairie Fire races this fall and I said I would be willing to do it. Our hope is that many of the people that participate in the PF races will participate in the Tanganyika 15k and Tiger Trot 5k 5 weeks prior as these races are the perfect distance and time before the PF races and fit nicely into a build up to the PF races. 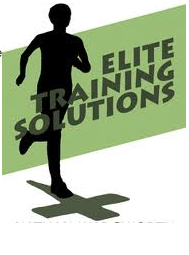 I work with endurance athletes at my business Elite Training Solutions. I do strength and flexibility training, running form analysis, performance and heart rate zone testing, offer the AlterG anti-gravity treadmill, as well as write personalized training and racing programs. I thought writing these programs for the races would allow many runners the opportunity to see what I do and learn more about my business. It also enhances PF Marathon by helping to make the marathon more unique and appealing to the public by giving multiple options to prepare for the race.